The first ever Galaxy Forum in Africa. 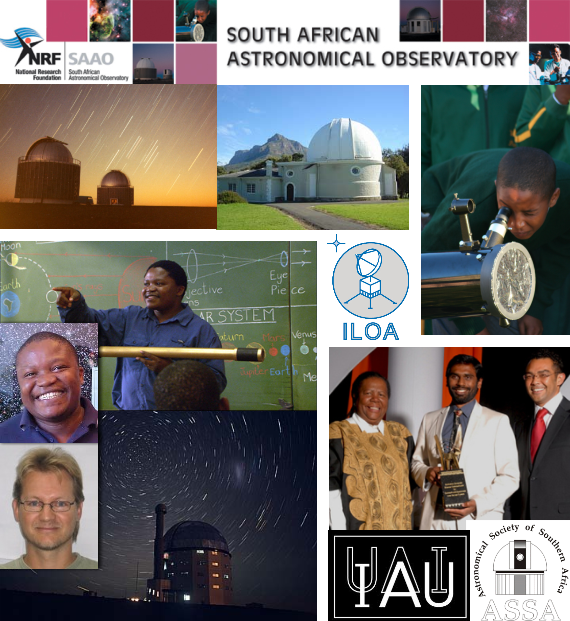 With expert collaboration from individuals and offices at the South African Astronomical Observatory (SAAO), the Astronomical Society of Southern Africa (ASSA) and the International Astronomical Union – Office of Astronomy for Development (IAU – OAD), there was significant interest and innovative pursuits during this inaugural African event. The Galaxy Forum Africa collaborative nexus is growing stronger thanks to efforts by Dr. Peter Martinez of SAAO and Kechil Kirkham of ASSA. The program encompasses educational outreach, astronomy research, facilities and discoveries at the cutting edge of 21st Century Africa. 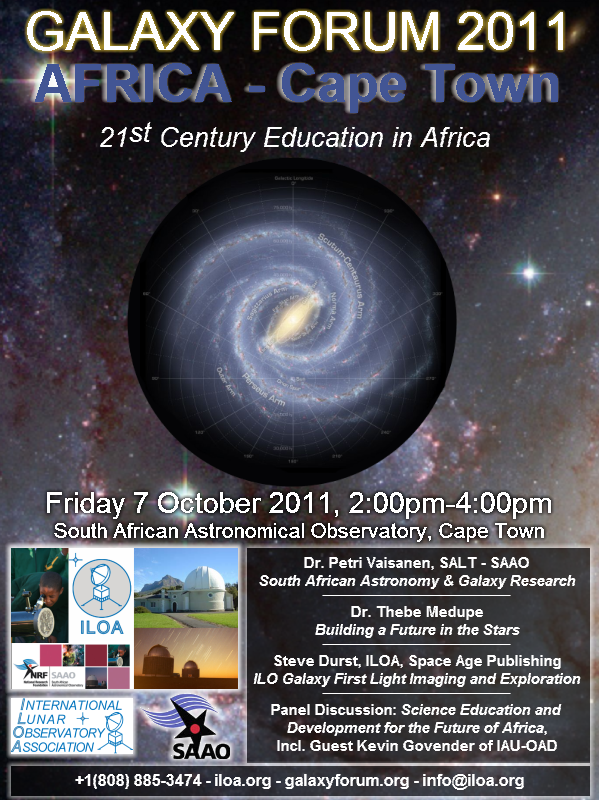 This event to coincided with the 62nd annual gathering of the International Astronautical Congress 2011, which occurred in Cape Town October 3-7.